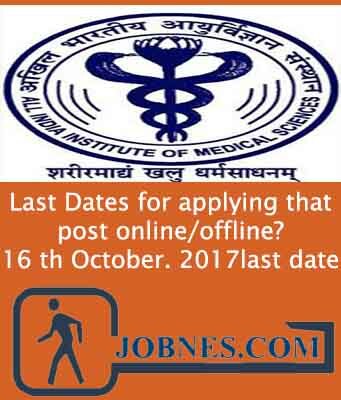 Only those candidates who are eligible and have passed MBBS from Institution recognised by MCI. The candidate must have completed compulsory internship and must produce internship completion certificate and registration under any state MCI. 16th October. 2017last date for online process.